Chrissy Teigen is my queen. Aside from being stunning, witty, and a multi-talented business woman, she’s also a best-selling cookbook author. Anybody who knows me can attest to the fact that I LOVE to cook — though finding recipes worthy of my time isn’t always easy. Cooking is a great stress-reliever, and sometimes I’m lucky enough to find a new family fave (which also isn’t an easy feat) — so I purchased Chrissy’s book, Cravings, to create an outlet for my anxiety and liven up the repetitive weeknight meals we’d all come to dread in my home. Oh. My. Heck. You haven’t lived until you’ve made this soup. 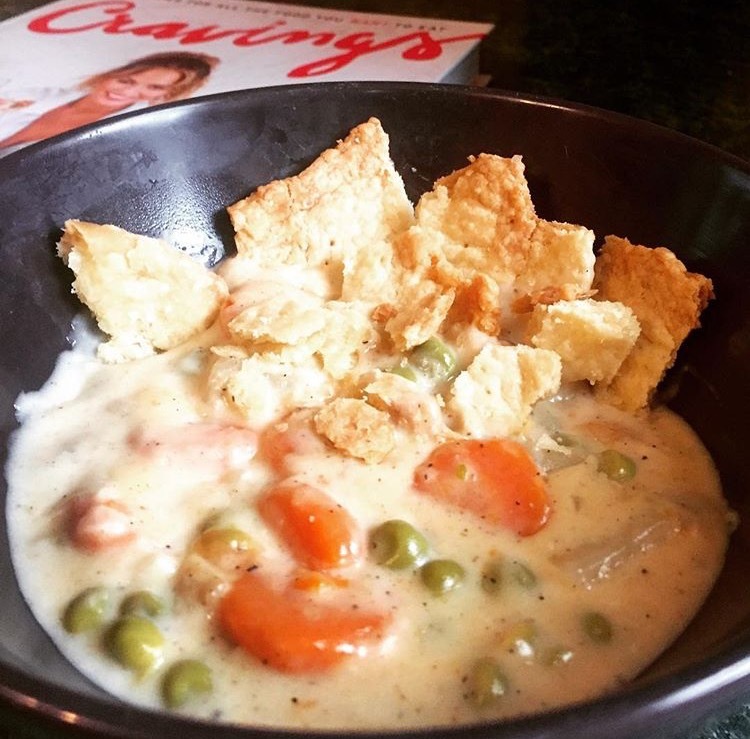 Reminiscent of warm, comforting chicken pot pie, this soup is everything that my dreams are made of — especially those crust crackers. I considered nixing them because I was feeling lazy, but I’m SO glad I didn’t skimp. Teigen’s soup consists of a flaky crust that you break into “crackers,” which compliments the creamy, decadent dish. They almost didn’t even make it into the soup because I kept picking them off the parchment to eat as snacks while I was cooking! And bonus — this meal makes for great leftovers. The ingredients aren’t at all costly (in fact, I already had some of them on hand) and the end result is so totally worth it. Overall, four out of four Gangers gave it a thumb’s up. WIN! I’ve heard of gnocchi. I’ve seen it on cooking shows, but never in my life did I think I’d try to make it from scratch. It’s super intimidating having to make your own dough, in hopes that it will actually turn into something edible. What if I “overwork it,” as they say? But turns out, this is definitely something any beginner can master. 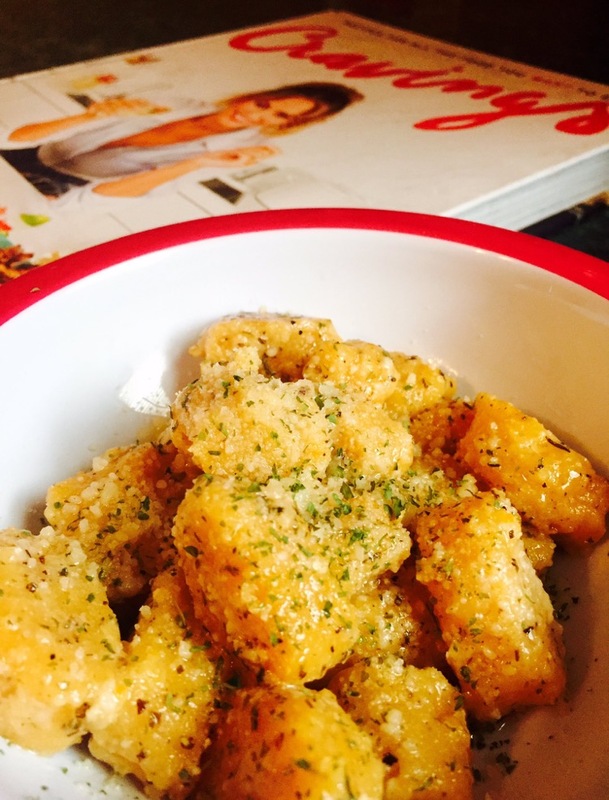 The end result is a fluffy, buttery, little cloud comparable to a chef’s five-star dish. However, after eating a few bites, I’d had enough of the delicious, but super-rich taste. If you’re cooking for your family, small children included, this might not be the perfect dish. However, if you want to cook to impress, give it a try. 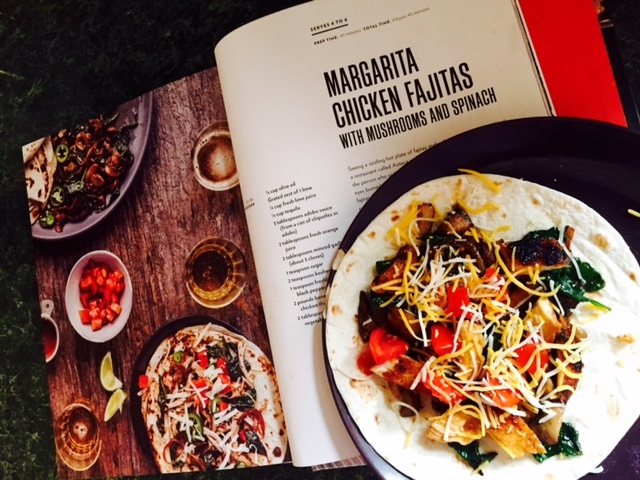 My family has some kind of taco/fajita/rice bowl night weekly, so when I spotted this margarita chicken recipe, I knew it had to be on our menu. The queso was a side experiment to complement the meal (in case the kids didn’t love the fajitas). Cooking both of these meals at once took more time and effort than I had assumed. I was in the kitchen for an hour and a half! Yikes! Also, my local store didn’t have Mexican chorizo readily available — though I found some after a minor panic. 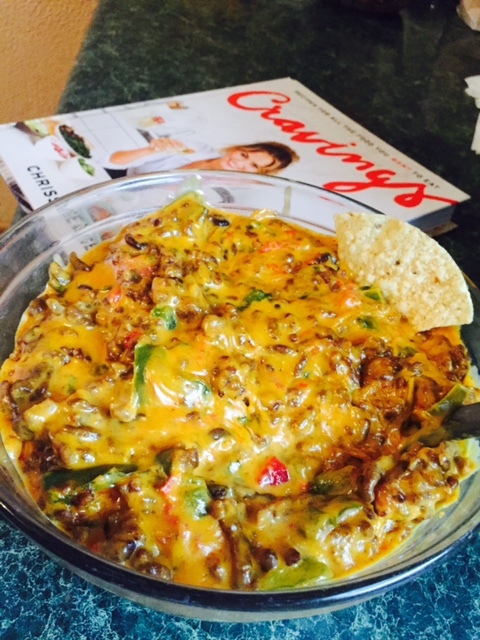 If you don’t like spice, then you might want to avoid all the jalapeños as they are abundant in this gooey cheese dip. I happen to love everything spicy, so I did as Chrissy says. The end results? The queso was a win for everyone except my mega picky 4-year-old, but overall, a win. Plus, the portion lasted long enough for us to munch on it for the rest of the week. The fajitas, though —SO GOOD! I CAN’T WAIT TO MAKE THEM AGAIN! I marinated them the night before so that they’d soak up all the flavors, and when I reheated them a day later, they were even better. If you haven’t made these meals, I suggest you fix that, like, right now. This chicken is the stuffed chicken of all stuffed chickens! (Also, is that a thing?) Because of my extreme disdain for goat cheese, I used feta as a substitute (I’m a rebel.) 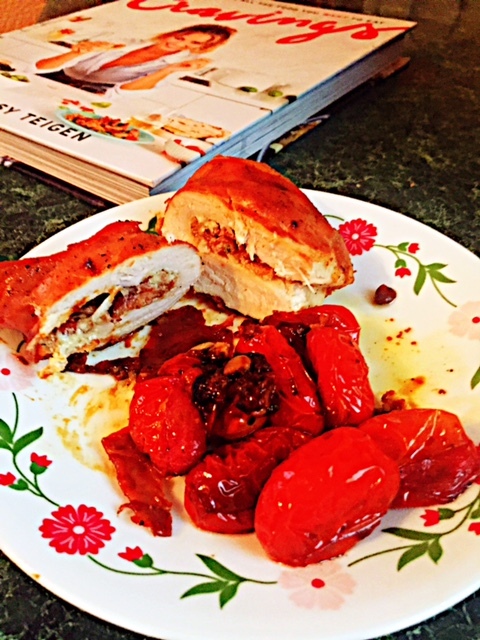 Aside from prepping the baco and stuffing the chicken (with a garlicky cream cheese concoction — yum), I tossed some cherry tomatoes into the skillet and popped the whole thing into the oven — and 30 minutes later, we had one of the most delicious meals I’ve ever eaten in my entire life on this planet — seriously. That is no joke. I’m a huge fan of chicken, but that flavor can get old fast. This recipe made me feel as though we were treating ourselves to dinner at some fancy schmancy restaurant. My kids ate it, there were ZERO leftovers, and I will make this meal as often as possible! I’ve made a lot of chili in my life. All kinds, all flavors, all spice levels. 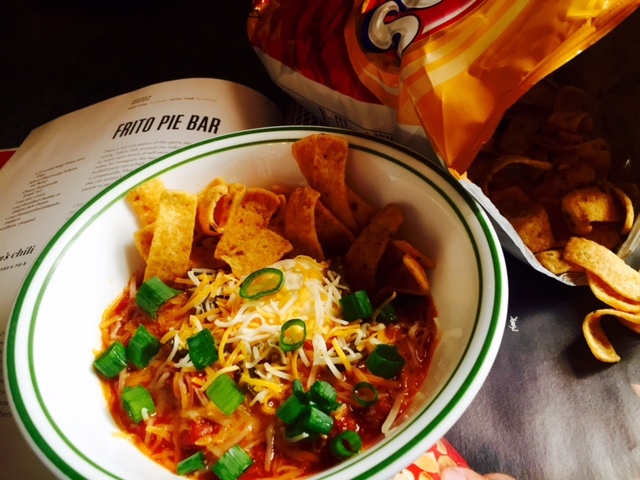 And while it’s particularly good on a cold, winter’s day, I can eat it anytime — especially if it involves Fritos! The best part of this meal is that once all the initial chopping and sautéing is finished, you can just hang back while everything marries together. This is a HUGE bonus in my book, because time is fleeting. Plus, my kids loved this — set up all the toppings so that everyone can create their own Frito bowl. I’ll be making this one all winter long — and after that, too! I have a confession; two, actually. The first being, mac and cheese really isn’t my *thing* (I know, I know), and the second being –I cheated on the bread crumbs. Before you scroll, hear me out. I’ve never really loved cheesy pasta as much as everyone else. I eat it. I’m just not in love with it. I made this to give my kids something I knew they’d eat, along with slider BLTs. With all that said, this is fantastic. The recipe makes a ton of pasta, and it’s really creamy and rich. 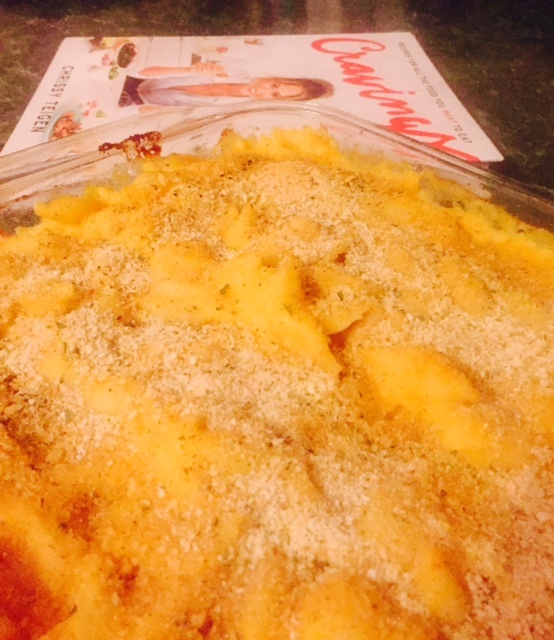 I used canned breadcrumbs that I had on hand — after a week of cooking more extensive meals than normal, I was tired! I’m sure Chrissy’s breadcrumbs rule, and I’ll give them a try some other day. Regardless, this is worth the overpriced cheese you’ll have to purchase if you love yourself some cheesy noodles. 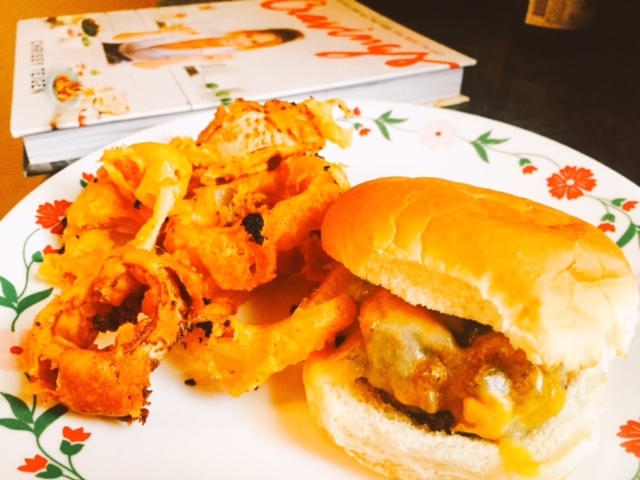 Overall, Cravings is my favorite new cookbook. I would cook most of the recipes in the book — just know that a lot of them do require a decent time commitment, and some either require pricey ingredients or a complex amount of ingredients. But the outcome of your cooking is completely worth whatever you have to go through to get the finished product! Chrissy was already my queen — but now? She’s also my family’s food guru.